Hey all, here’s a guide I wrote for newcomers to Blizzard’s latest triumph – Hearthstone: Heroes of Warcraft. The subscription service is currently available on PS4 across North America with two subscription plans. Playstation Now offers over 100 PS3 games (with so many more on the way) with two types of plans that are being offered: one month for $19.99 or a three-month package for $44.99 (about $15 per month). For now Playstation Plus is available for PS3 and PS4 users with more devices being added later including Playstation Vita and Playstation TV. A free PlayStation Now theme is now available for PS4 users as well If you download the theme before January 31. Doing this gets you automatically entered into a drawing for a chance to win a one-year subscription to PlayStation Now. 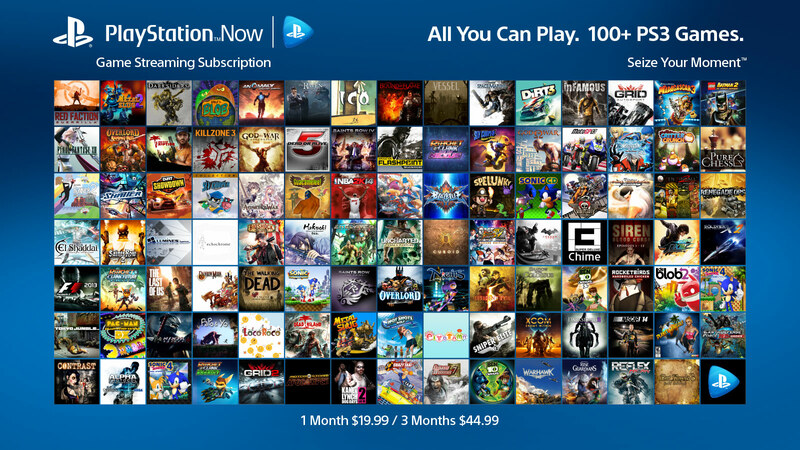 Don’t be, those that are still slightly confused about so many subscription services should take note that Playstation Now and Playstaion Plus are seperate services entirely. In addition to monthly subscriptions, remember that there are also a variety of rental options available. The PS Now rental catalog already has 200+ games with games being added weekly. Most games can be rented for about $1 a day for a week, or you can choose from 4-hour, 30 day and 90 rental periods available for most games. Either you choose to rent or subscribe to get instant access to an all-you-can-play catalog of 100+ PS3 games. 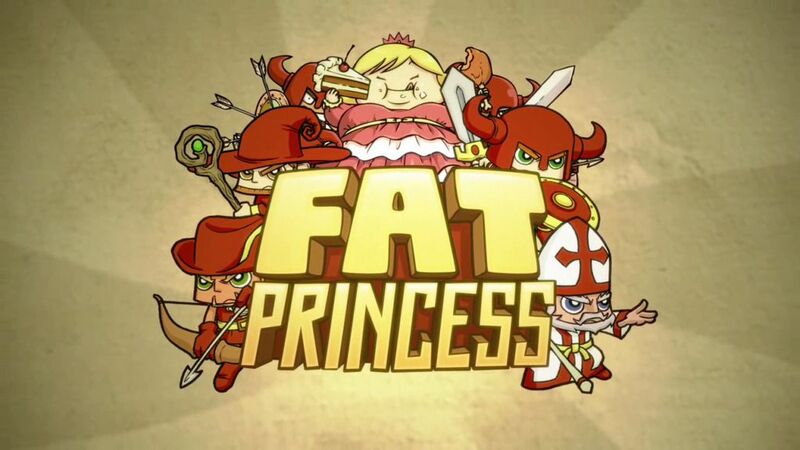 Fat Princess: Piece of Cake is now Free on PS Vita! You can now rescue the princess on Playstation Vita, iOS and Android for Free. 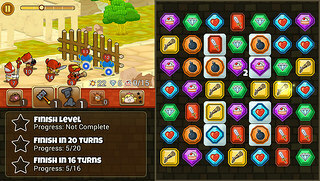 Fat Princess: Piece of Cake includes a brand-new strategic match-three game. 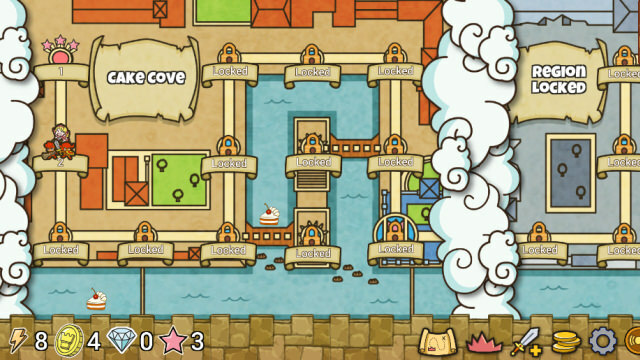 Fat Princess:Piece of Cake has been available on iOS and Android for a while now but is now available for the PS Vita. The game has well over 55 levels which spread across 5 different landscapes. You will use your red army to attempt to smash through the Blue army with 4 different character classes to choose from. The PS Vita version also supports Trophies. 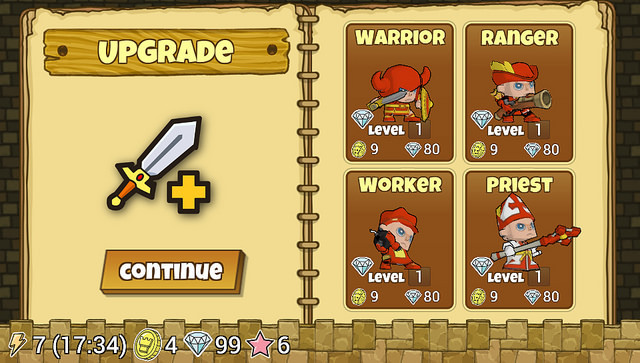 Gameplay is quite simple and easy to learn but you’ll need to strategically upgrade your characters – the Knights attack single enemies for high damage, a Ranger whose gun can blast enemies in the front row, a Demolition specialist with bombs to stun all enemies, and a Wizard to heal your troops. But what about the Princess? The game isn’t called “Fat Princess” for nothing…the princess is hungry, really hungry, feed cake to the princess by matching special tiles to unleash her devastating slam attack, trigger massive combos to save the day and her Kingdom. The mobile version offers the game for Free when you reach level 15. For this you must have an active Facebook account to receive the voucher code and you will also need a valid Sony Entertainment Network account to redeem that voucher code to download the game to your PS3 console. Yea, but is it really free? 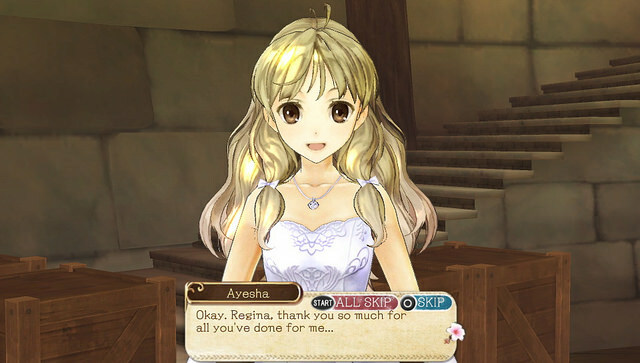 Lovers of “JRPG’s” or (Japanese Role Playing Games) will be happy to know that Atelier Ayesha Plus-The Alchemist of Dusk is now available for download on the Playstation Store as of yesterday. 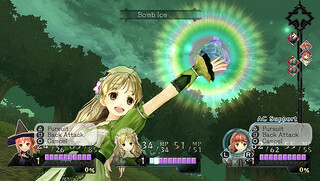 The game was developed by GUST, one of Koei Tecmo’s teams in Japan. 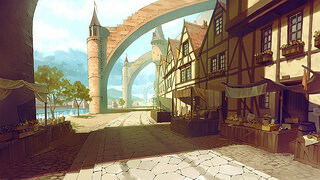 “Atelier Ayesha Plus (or Atelier Ayesha PS3) is the first game/entry for the DUSK Trilogy (which will follow by Escha & Logy and Shallie), you will find Dusk World a little darker than Arland because the land has gone through many eras of destruction and recovery”. “There are countless ruins to be found in this beautiful yet fleeting world”. Atelier Ayesha Plus tells the tale of a girl, Ayesha Altugle, who after the death of her grandfather and the disappearance of her younger sister Nio, now lives alone blending healing cures to sell in her workshop. Upon a vision of Nio appearing near her empty grave, Ayesha is convinced Nio is still alive and begins her search to save her sister. This enhanced PS Vita version will bring new features including dual audio (English and Japanese voices), new bosses, new costumes, a Hard mode, and the Album missions which unlock exclusive costumes and gameplay features and the ability to change party members at any time – As an added bonus if you download it from January 13th to February 10th, you’ll receive Bonus costumes as a bundle. The full download is 2.95 GB and also supports and is playable on Playstation TV. Grab the RSS Feed to stay updated! An ongoing story of playing, pixels, and painting! 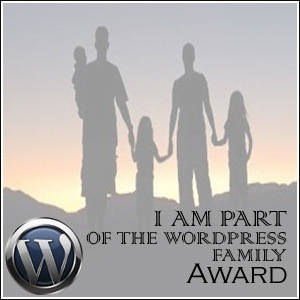 Geeky rants, raves, and occasional bursts of creative insight. Or at least that's the goal. Achievement points in real life!